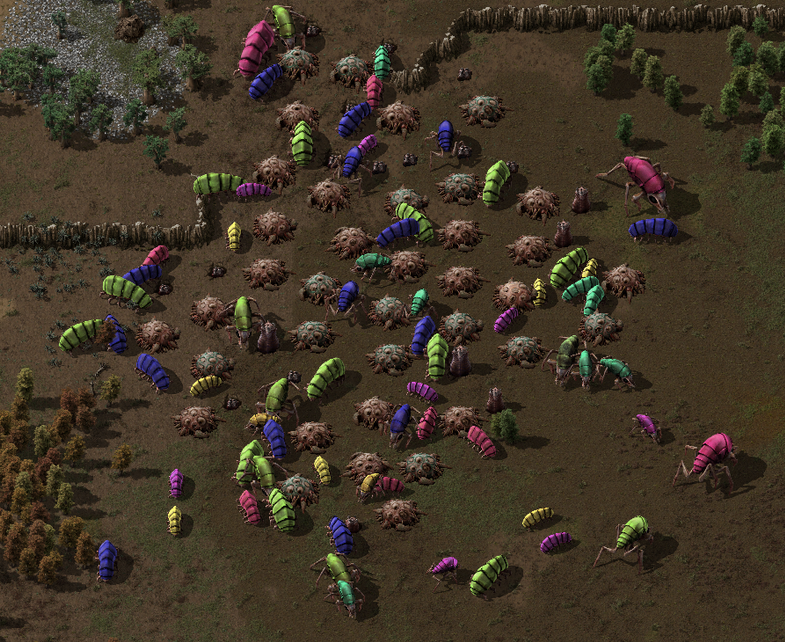 Bob's mods 0.17 is released. The main bulk of the updates to my mods was just to make it work on 0.17, and some compliance changes. I probably missed a whole heap of stuff. Let me know if I did anything wrong, obvious or not, but do it in here as to not spam general discussion. Check inserter names, especially those renamed base game, such as express filter inserter. Maybe add minimum range to AOE ammos. Galena might be a little on the scarce side. Allow turning off individual logistics components. Add a tech to unlock the first tier of inserter rotation. a friend wants to be able to vent steam. 5Dim uses fast replace group "electric-furnace" on the electric furnace, which breaks bobassembly. Added mod thumbnail icon to all mods. Added changelogs and basic description to all mods. I found out that any Oil burning generators do pollute but not producing any smoke from the pipe. Right, I see the issue. I'll fix it. Yes, library is installed.. ALL other Bob's Mods work. Thx for the fast update Bob. Have the same problem and the library is installed. Okay, update the modules mod now. you may need to disable it, update then re-enable it. Ok, just tried with Clock, on a new map. P.S. Thank you!! Your mods are awesome! Last edited by Jessea2010 on Tue Feb 26, 2019 9:32 pm, edited 1 time in total. Okay, disable the clock until I fix it. Yes, I'm looking into it now. Clock should be fixed now. uuuhh... if you have no mods, why are you posting in a bob's mods topic about the updater? Clock is fixed. Thank you again. LuaItemStack API call when LuaItemStack was invalid. Got this message after placing a ghost of a yellow inserter. Q on an inserter and place it while no inserter in the inventory. Thanks for steps to repeat. Also logistics suffered from the same issue, that's fixed too. Behemoth spitters turn green when attacking but revert to white when walking. This doesn't seem to occur to other types. It appears that not only was this showing up the wrong colour, but I missed adding tint 2 to ALL of my new spitters. they should look a lot more vibrant now. for splitters and underground-belts with the mod. Last edited by fishycat on Wed Feb 27, 2019 2:39 am, edited 1 time in total.